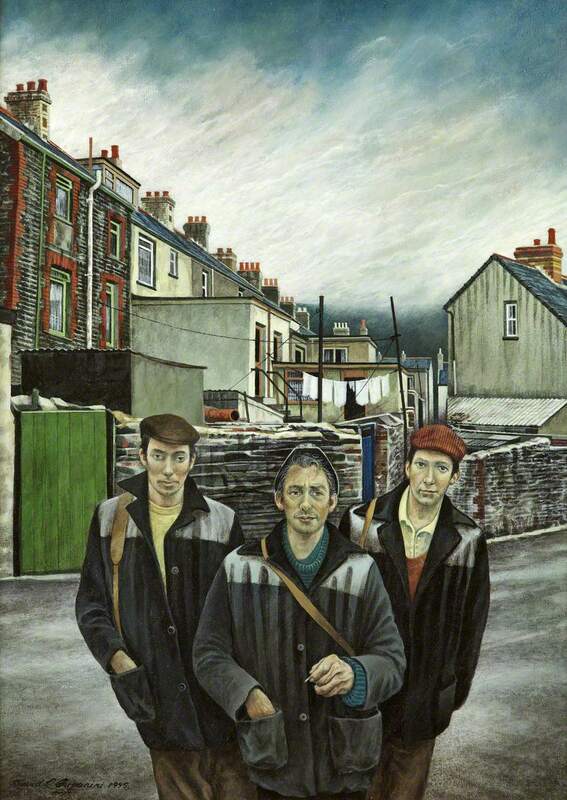 So said David Lawrence Carpanini, and the particular part of the earth that nourished his own boyhood is – as one glance at his paintings will tell you – industrial South Wales. 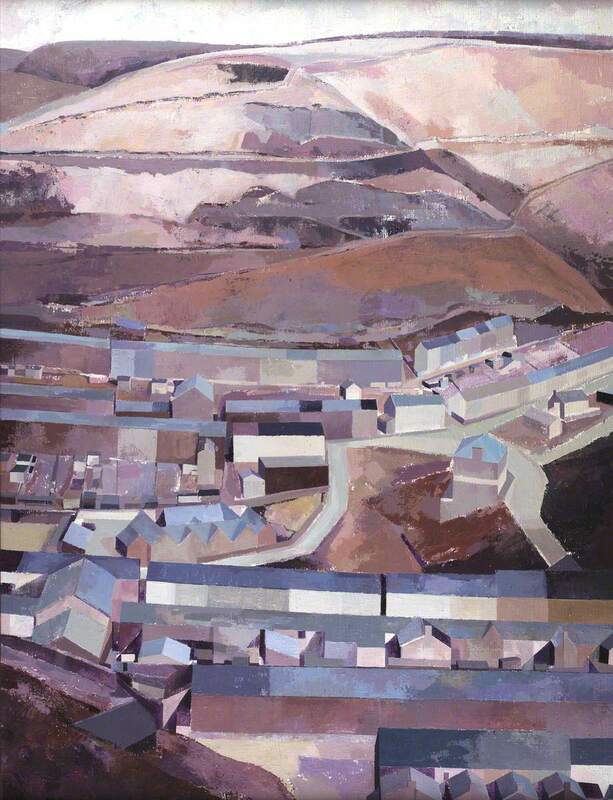 Born in 1946 of Welsh-Italian parents in Glamorgan’s Afan Valley, for decades Carpanini has painted the landscapes, mining towns and people of his homeland. 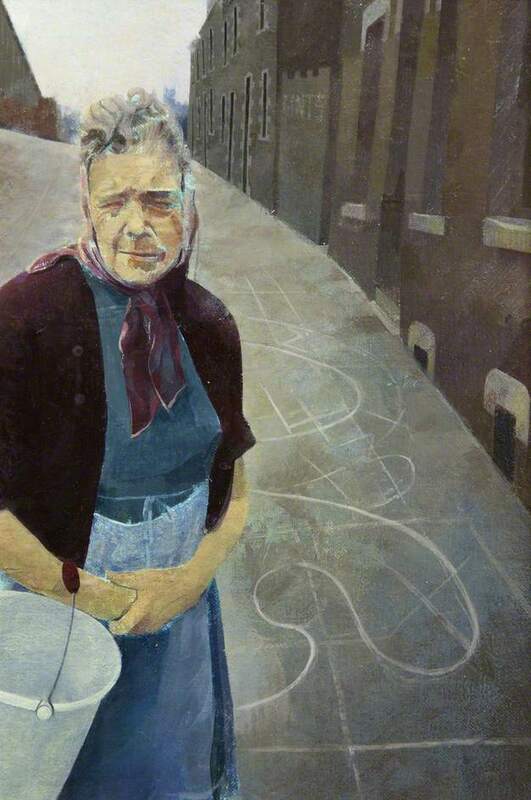 Last Shift – acquired by the RWA in 1996 – is quintessential Carpanini. 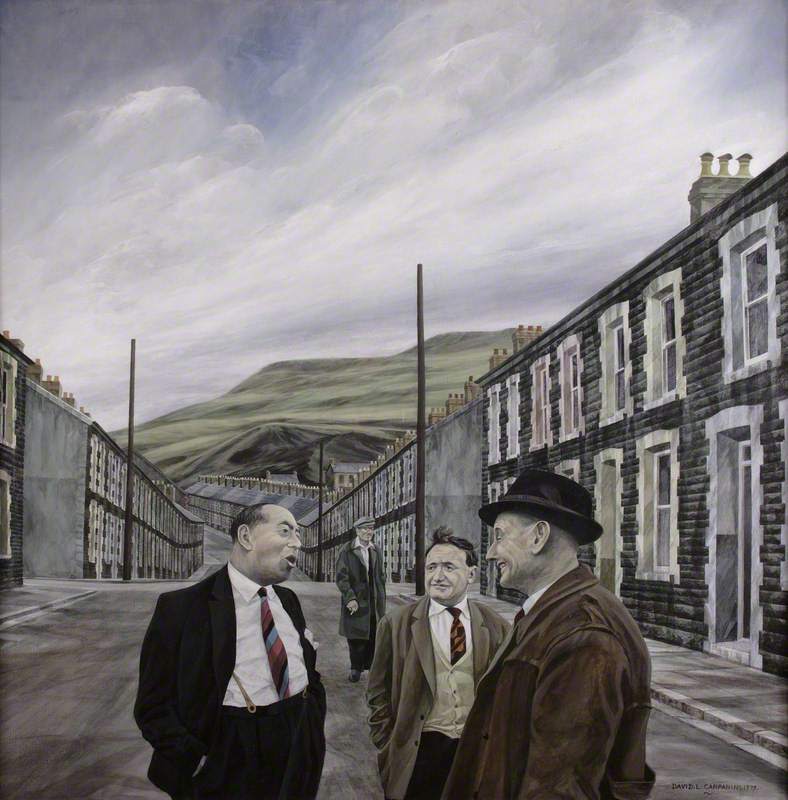 Against a backdrop of terraced workers’ houses and a swirling, bruised sky, three donkey-jacketed men – presumably on their way home from the pit – stop a moment to face the viewer. The painting’s rather elegaic title might suggest the mine has today closed forever – but there’s nothing in the men’s faces to indicate depression or even pessimism. More likely they’ve just knocked off for the week and are heading to the pub (though of course, that makes the elegaic interpretation all the more poignant: we know the real Last Shift is coming soon enough). The subject of working people in their own towns is typical Carpanini, and so is the slightly distorted, fisheye perspective. This technique somehow roots the people in the environment – they seem almost to have grown out of the paving stones. The faces are proud, self-assured, optimistic enough: Carpanini’s not asking us to pity them. Carpanini has actually spent his working life in England – where he has acheived significant artistic and academic success. After leaving grammar school in Port Talbot he trained as an artist at Gloucestershire College of Art and the Royal College of Art. In 1969 he won the British Institution Awards Committee Annual Scholarship for engraving. He then became a teacher of art, first at Kingham Hill School from 1972 to 1978, and then at Oundle School until 1986. He was Head of Art and Design at Wolverhampton Polytechnic until 2000, becoming a Professor when it gained university status in 1992. From 1995 to 2003 he was President of the Royal Society of Painter-Printmakers and his paintings, etchings and prints have been exhibited in numerous solo and group shows. Works are included in the collections of the Royal College of Art, the National Museum of Wales, The Welsh Mining Museum, The Ashmolean Museum, The Fitzwilliam Museum and at Windsor in the collection of Her Majesty The Queen, among others. Professor Carpanini was elected as an RWA Academician in 1983. My inspiration lies in the contemplation of the familiar. 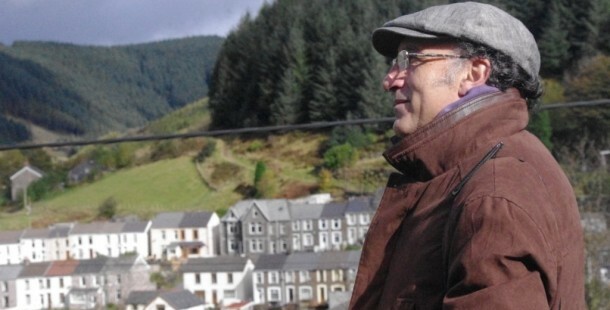 I believe that man has a special bond with that part of the earth which nourishes his boyhood and it is in the valleys and the former mining communities of South Wales, scarred by industrialisation but home for a resolute people , that I have found the trigger for my imagination. The stark landscape and the close knit social infrastructure are a fundamental part of my own background and I have attempted to use this natural drama of the location in order to explore aspects of the human condition. Last Shift is a fine – and important – contribution to that achievement. Material: Acrylic 25″ x 18″.